“I love to be innovative. For more than 12 years I have enjoyed discovering different flavour notes and sensory attributes in the same coffee, which is only achieved by trying different methods of washed, honey and natural processing, as well as experimenting with variations of these same processes,” Enrique says. 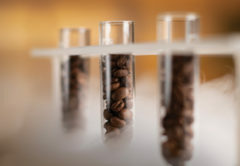 Always in search of new methods to improve the quality of his coffee, Enrique has developed a new processing method called Hydronatural, which he has adapted to washed, natural and honey processing. For all the innovation he’s attempting, Enrique warns that there’s a fine line between pushing the boundaries of experimentation, and going over them. “I like to produce coffee perfumes, not coffee lotions,” he says. Enrique’s coffee farming career is bittersweet. Coffee cultivation has been engrained in his family since 1910 when his Aunt Abuela founded Finca La Oaxaqueña in Candelaria Loxicha, Oaxaca. His father also founded a farm called Santa Cruz in 1956, and in 1986, bought a farm in La Concordia, Chiapas off a German family, called Las Nubes. Despite the family connection, Enrique had no interest in coffee consumption nor continuing the family farming tradition until his father, Jaime López Vértiz, passed away in 2000. “My family asked me to visit my father’s farm and decide if I wanted to manage it,” he recalls. Enrique had little knowledge of coffee production. 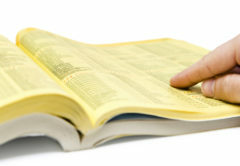 He had studied commercial aviation and accounting and finance at university, and worked in an accounting advisory firm. Somehow, he knew the right thing to do. Enrique left Finca Santa Cruz and Las Nubes in the hands of his brothers to manage, and set himself the goal to create the same coffee farming experience his father once had. He bought 50 hectares of land in Candelaria Loxicha in Oaxaca, where his mother’s family was from, and started his own farm in 2013, called Finca Chelín. At 32 years of age, Enrique began his late introduction to coffee farming by self-learning about agriculture, coffee tree biology, coffee cultivation, processing and drying. Five years on, Enrique is recognised as one of the industry’s most progressive coffee producers, and one of Oaxaca’s most successful. Each of Oaxaca’s seven coffee producing regions has a different microclimate, but all have ideal conditions to grow and produce excellent coffees. Oaxaca has a very mountainous geography, mainly through the Sierra Madre del Sur, and thousands of hectares, which Enrique describes as “fog forest”: dense, plentiful land with a magical appeal as fog creeps over hilltops in the mornings and evenings. The majority of coffees are cultivated at 1000 metres above sea level, but there are places that cultivate coffee higher than 1500 metres above sea level. 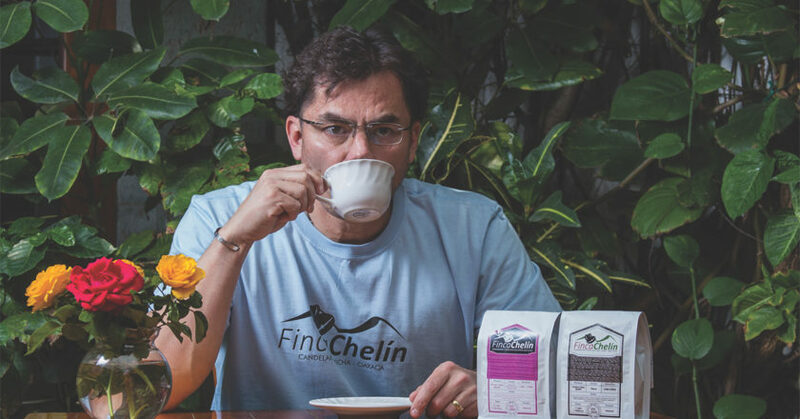 The region is home to many smallholder farmers and producers that share one or two hectares of land, and many produce “extraordinary coffees”, including Enrique’s own Finca Chelín. “When I made the decision to take over my father’s farms in Chiapas, I said to myself: ‘If I was going to dedicate myself to producing coffees, they had to represent quality, and be the best in Mexico,’” he says. Finca Chelín is certified carbon neutral. On average, it saves 7000 tonnes of carbon each year. Enrique’s coffee grows in an agroforestry of more than 130 shade trees per hectare. Rather than “exploit” the soil, Enrique produces no more than 20 quintals (about 2000 kilograms) per hectare. Coffee disease La Roya devastated almost 50 per cent of the production in Mexico in 2015. To stem the spread, Enrique added nutritional fertiliser to his farm’s compost, a sustainable approach that had a positive affect. While still devastating, La Roya affected just 10 per cent of Finca Chelín’s harvest. In 2003, Enrique was awarded third place for his coffee in an Ecom Trading contest in Chiapas, and in 2004 he won first place in the International Certified Organic Competition, organised by the Mexican Coffee Council and the Organic Crop Improvement Association. 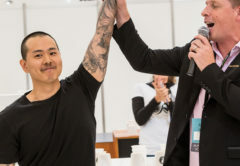 Enrique says winning several competitions, including first place at the 2015 Best of Oaxaca cupping competition, and being a finalist in others where the quality of coffee is rewarded, is a career highlight. Each time he wins an award, he dedicates it to his parents. 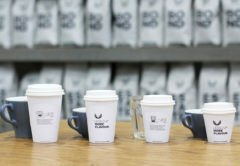 Enrique’s coffee is sold to clients in Mexico and abroad, including Australia and Toby’s Estate Coffee. He says it’s impossible to satisfy all the demands from around the world. At present, he produces Pluma, Gesha, Mundo Novo and Caturra varietals, and over the next two years will see results from 20 other varietals including Zolok, Long Berry, Tofagi, Laurina, Marogogype, Moka, SL-28, Yellow Gesha, Pink Bourbon, Cider, Garnica, Pacamara, Obatá, Icatú, Parainema, Typica and improved Bourbon from Peru, Anacafe14, Gesha Chelin, and a Colombian dwarf with Gesha Chelín. 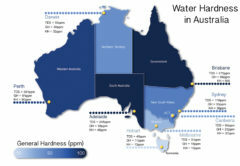 This article appears in the June edition of BeanScene. To read the story in FULL, subscribe now.